How often have you found yourself wishing you to easily carry something at your side, but lacked the right feature on your belt to do so? No longer is that a worry - especially not with this Universal Belt Frog with Clasp! 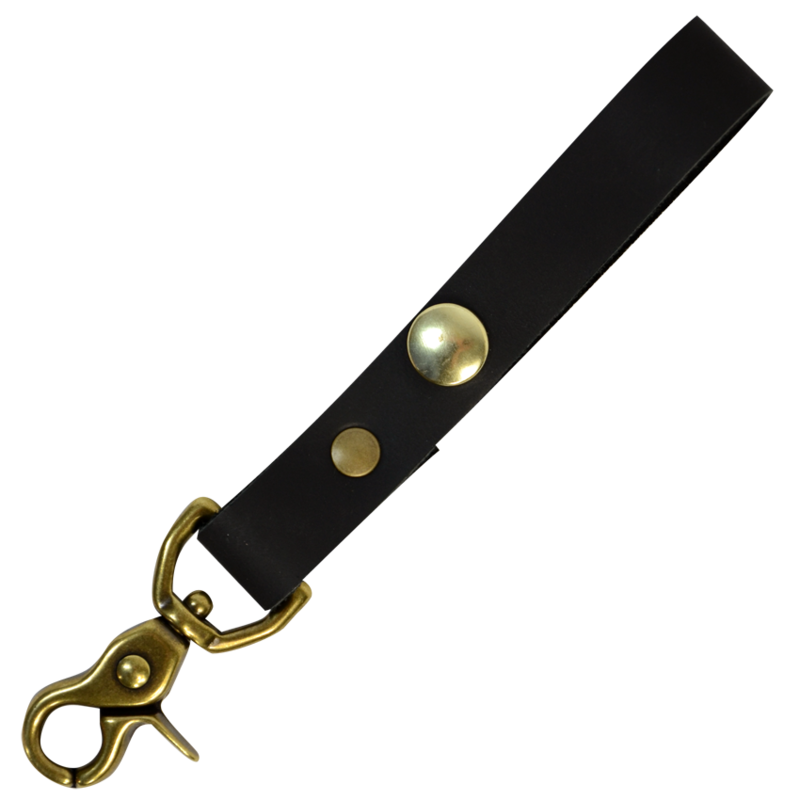 Crafted entirely in from quality leather, this handsome accent fits easily on belts, and has a double-ended design that is perfectly suited to a variety of uses. You can thread your belt through the loop and use the clasp to hold things at your hip, or flip it around and use the clasp to attach to a D-ring, while using the snap secured loop to hold to secure objects at your hip. Versatility is something this Universal Belt Frog with Clasp has in spades.